Enormous pure white domes 15cm across formed from compact clusters of small spiky star shaped flowers. 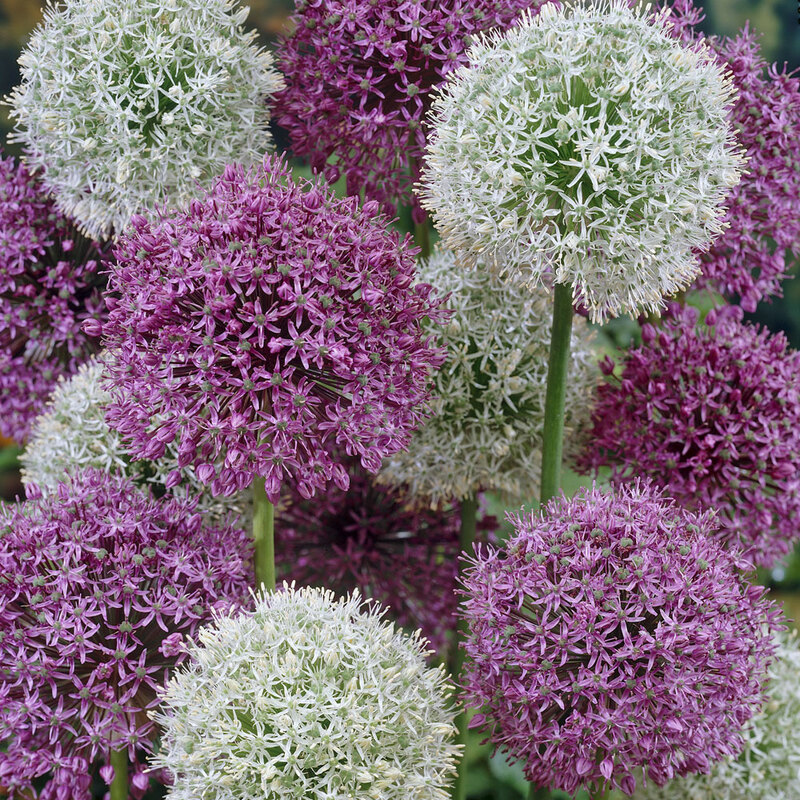 These will look stunning soaring up at the back of the border and as you can see from the illustration are a natural partner to the stunning Allium Mars (purple). 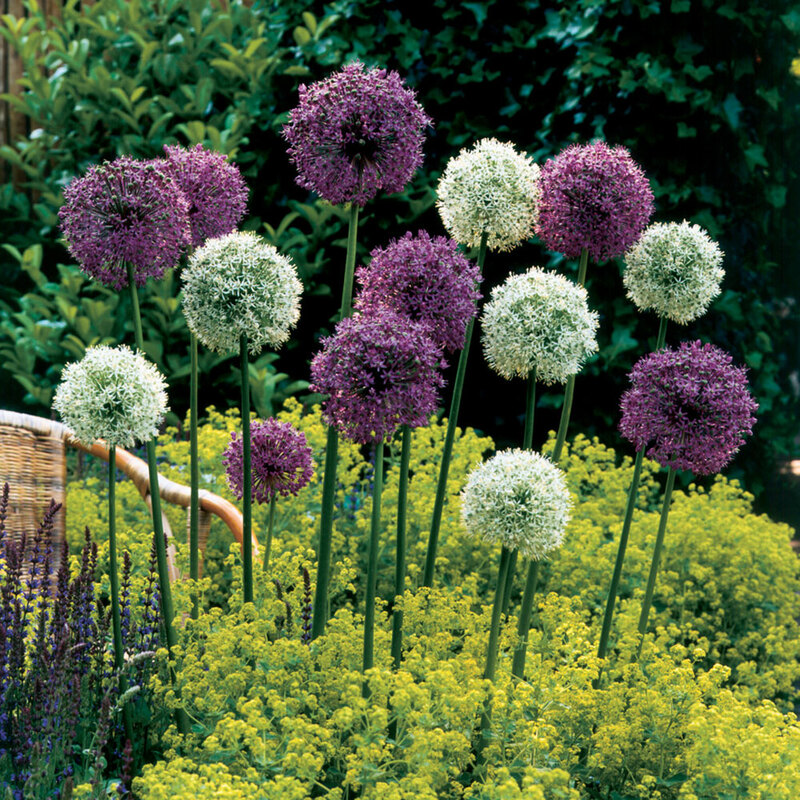 As with other alliums, its attractive curled green leaves will wither before the flowers appear in early summer so we recommend accompanying them with low-growing plants to provide filling foliage over the base areas. Height 1.2m. Flowering May-June. 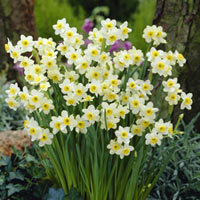 18cm+ bulbs supplied. 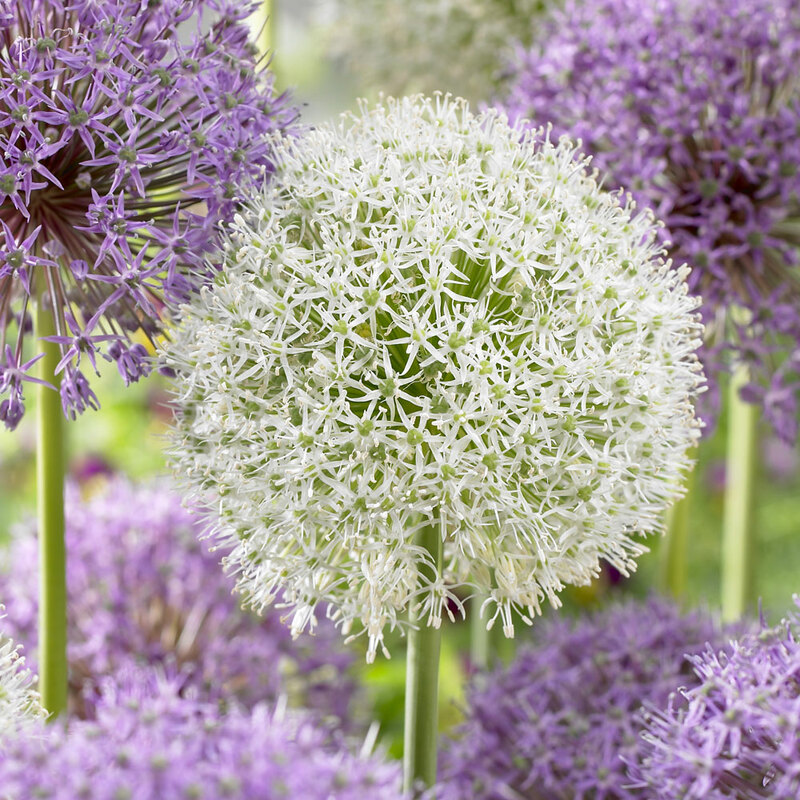 Plant approx 20-25cm apart. 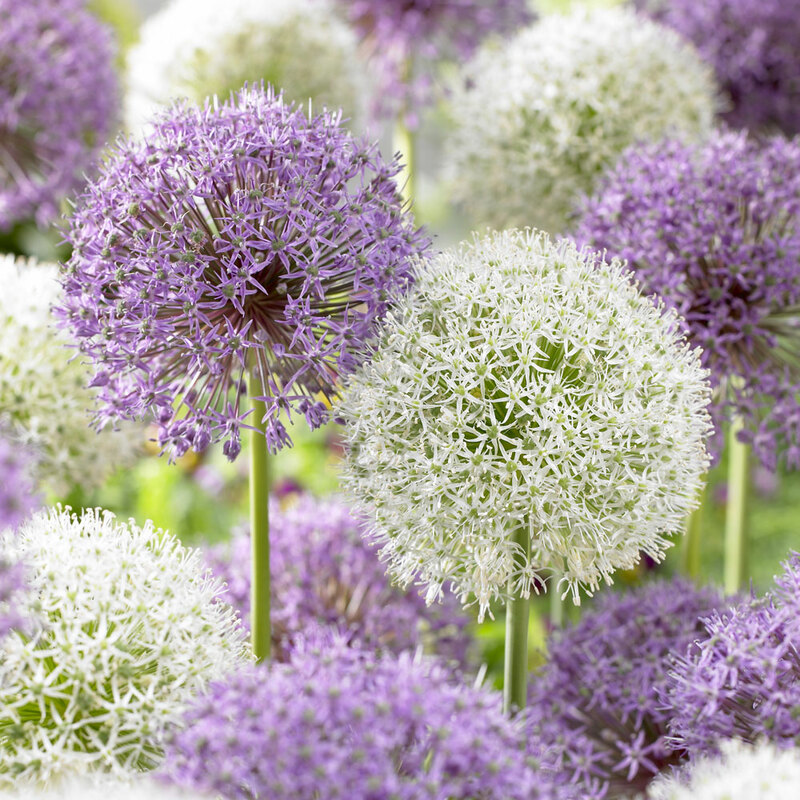 Plant in borders amongst hardy perennials for an amazing display.